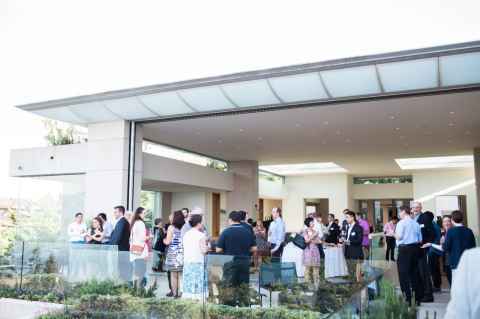 Join the University of Auckland Vancouver Alumni Network to stay connected to the University, and make new connections. The University of Auckland is represented by a group of three volunteer alumni coordinators in Vancouver: Pia Abercromby, Michael Wheaton and Jacob Monash. Michael and Pia are both engineers. “Vancouver has a considerable amount of new construction either ongoing or planned, and a lot of new buildings requiring leading edge engineering approaches to help achieve ambitious architecture,” Michael explains. For Pia, the best part of being an engineer is the multidisciplinary nature of her work. She enjoys having the chance to interact with civil, environmental, geotechnical and hydrotechnical engineers on a daily basis. Michael adds that it is always rewarding to arrive at the final completed building knowing that he helped a client to realise their vision. Jacob works in a completely different field. He is a Laboratory Coordinator at the Genome Sciences Centre, which carries out cancer genome sequencing and diagnostics. “I’m looking forward to facilitating a more efficient laboratory to increase the number of patients we can help day-to-day,” Jacob says. Outside of work, the VACs have a wide range of interests. Jacob is into productivity hacks and spends his spare time helping clients to organise their lives as a productivity consultant. In contrast, Pia loves scotch whiskey and recently visited a number of her favourite distilleries while on holiday in Scotland. Michael enjoys sports and once cycled 320km from Seattle to Portland in a single day. The group would love to hear from alumni based in Vancouver.